I warned you that there would be a lot of WIP's I was posting about. Think if I had tortured you with all of these at once!!! The load time on one post would be ridiculous. So here you have it, another installment in my New Years Resolution project to destroy my WIP collection and repurpose, finish, recycle and more. This is my aqua aloha top. I love the look of this sweater, but I just can't make it happen. I don't know if I need to drastically change something, but no matter how I try to gauge it out and work it up, it just won't happen. The purple one was closer to size but I ran out of yarn and patience. The grey one was worked once and then ripped out and worked again, seamed on one side and then I discovered it was huge. So I threw it in my bin and left it for repurposing or something. I think I will probably end up frogging these both, sadly. 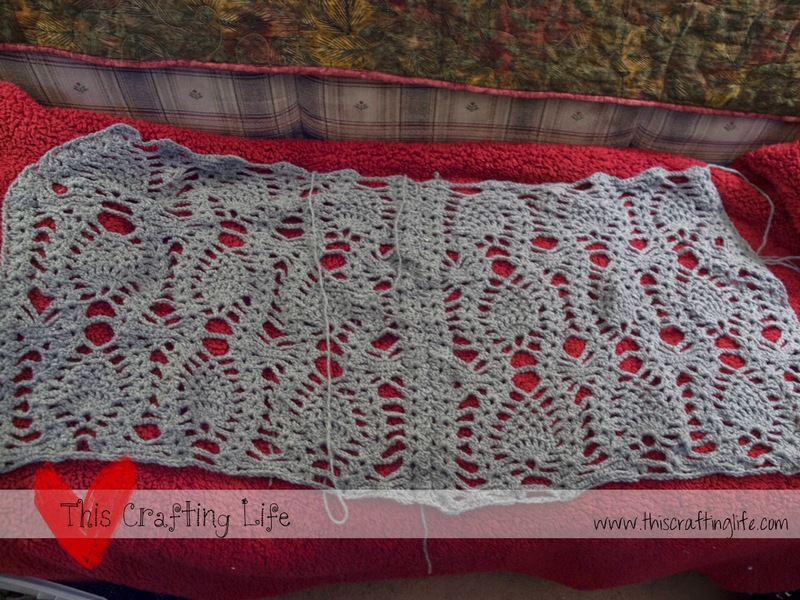 This is a Mandala throw that I found on ravelry. 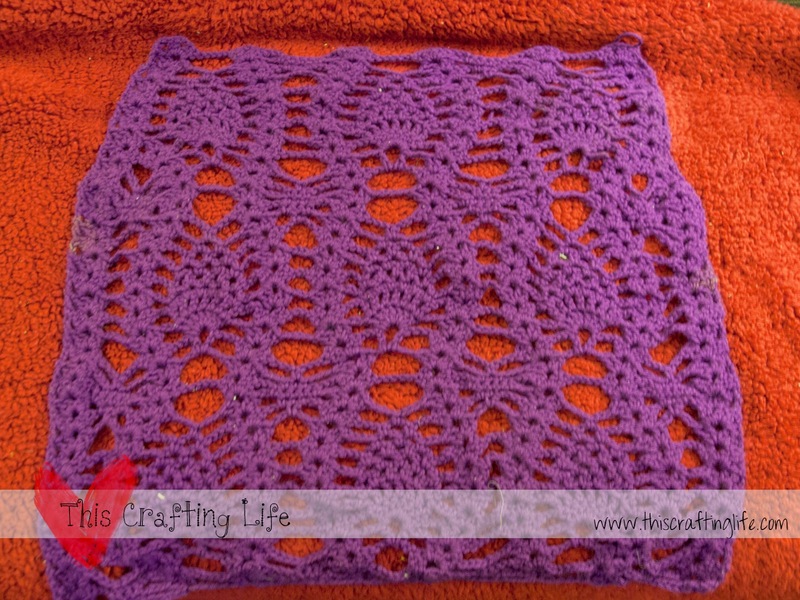 I worked this as per instructions using Caron Simply Soft yarn. 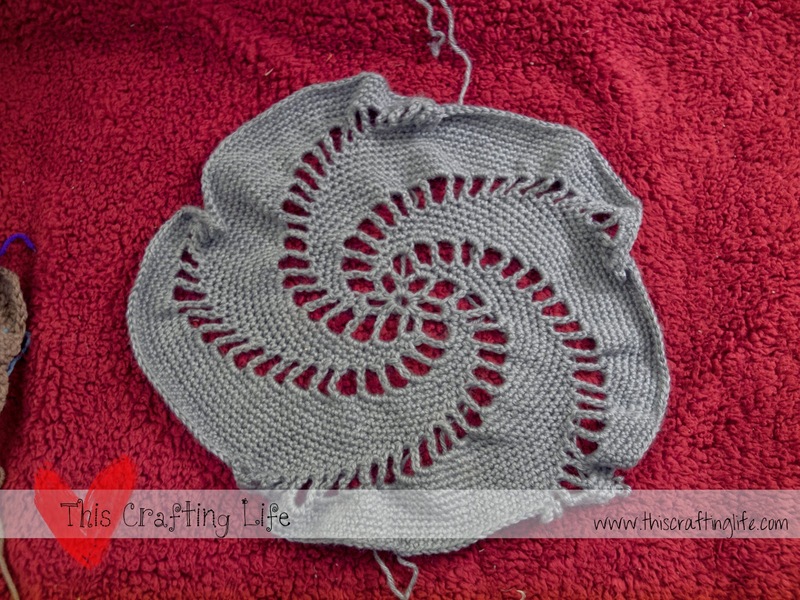 This is close to a full skein of yarn, and only measures about 12" across. It's buckling and tight and I really am unhappy with how it came out. This project will be frogged as well. 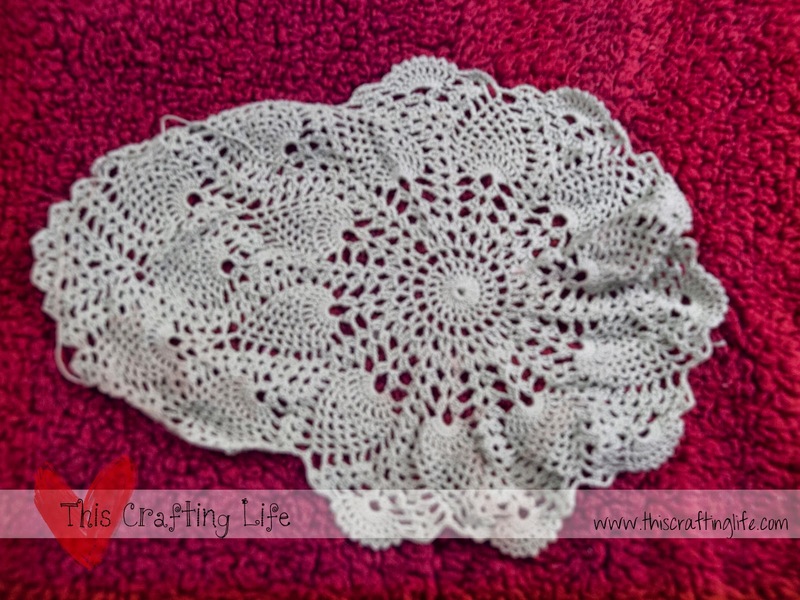 This doily was coming along ok until it came time to do the sides. I had made a large error earlier on that I just wasn't able to save. I think I will probably take the side off of it and see if I can block the center circle to look nice. If I can, then I'll probably gift it this year. So there are WIP's 16-19, with still more to come in this series. Have you tried one of these projects? Are you working on WIP's? Leave a comment below!